Vintage Old Japanese Postcard. 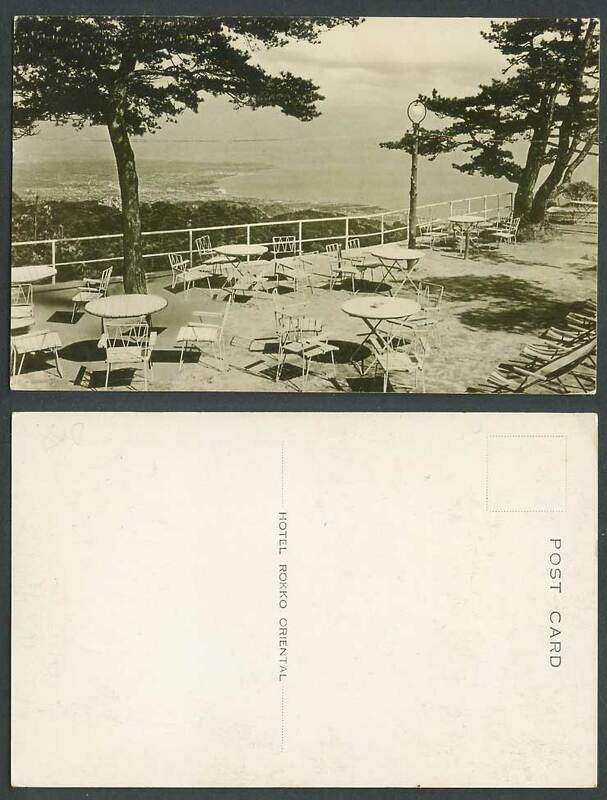 Japan, Hotel Rokko Oriental, Lookout Terrace, Deckchairs, Panorama. 六甲山.